The court, in response, directed the Delhi police to provide all the mentioned documents to Tharoor's counsel before the next date of hearing on October 23. NEW DELHI: Certain files in the hard disk relating to Sunanda Pushkar death case were inaccessible, counsel for Congress leader Shashi Tharoor informed Delhi's Patiala House Court on Friday. 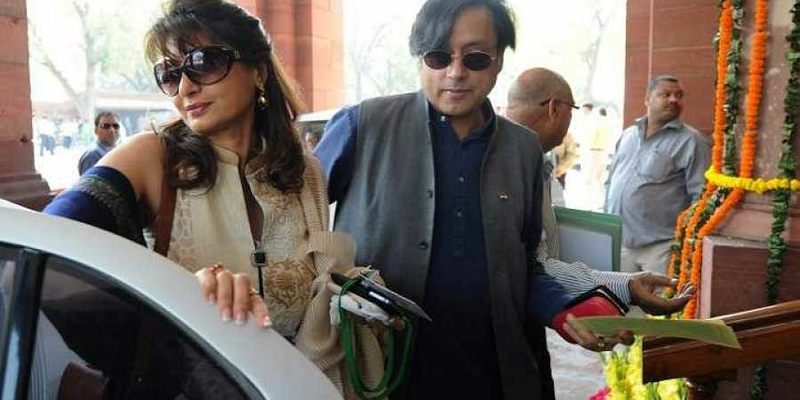 Earlier, the Delhi Police had handed over the copies of documents, including electronic evidence, to the counsel of Tharoor in connection with the death of his wife Sunanda Pushkar. Tharoor had earlier requested for the documents. Earlier on May 14, the Delhi Police had filed a charge sheet in the court, in which it named Tharoor as an accused, under sections 306 (Abetment of suicide) and 498A (Husband or relative of husband of a woman subjecting her to cruelty) of the Indian Penal Code (IPC). Tharoor, however, had dismissed the charge sheet terming it "preposterous". Sunanda was found dead under mysterious circumstances in a hotel in Delhi on the night of January 17, 2014.